UPDATED: Tue., Feb. 5, 2019, 7:18 a.m. 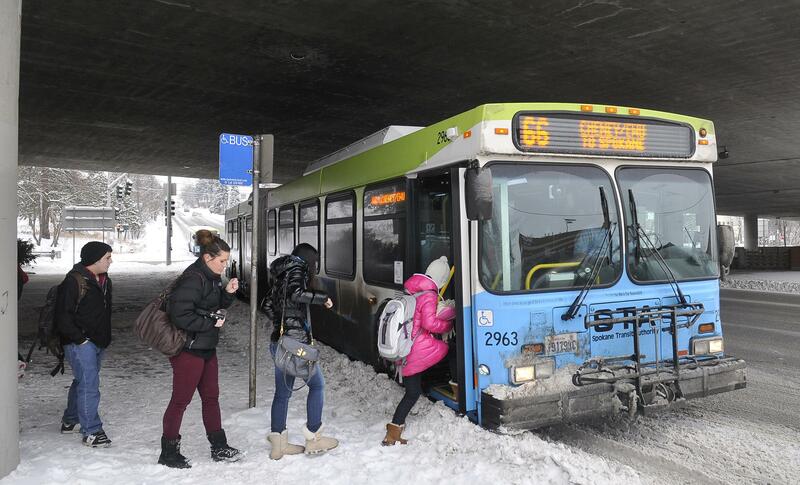 The Spokane Transit Authority is warning bus riders that some routes may be late on Tuesday as a result of slippery roads. An inch of snow was measured at the National Weather Service’s Spokane office on the West Plains at about 6 a.m., said meteorologist Amanda Young. The weather service received reports of 2 inches in Ritzville and 2 1/2 inches near Rockford. The STA is recommending that passengers check to see if their bus is on time by checking its winter operations website. The weather has not affected the schedules of Spokane County or Kootenai County school districts. A few districts west and south of Spokane, including Tekoa and Lind-Ritzville, announced two-hour delays. A full list of delays is available here. The overnight temperature in Spokane reached 19 degrees. Published: Feb. 5, 2019, 7:06 a.m. Updated: Feb. 5, 2019, 7:18 a.m.